Arsenal continued their run of woeful away form with a 3-1 defeat to Leicester City. 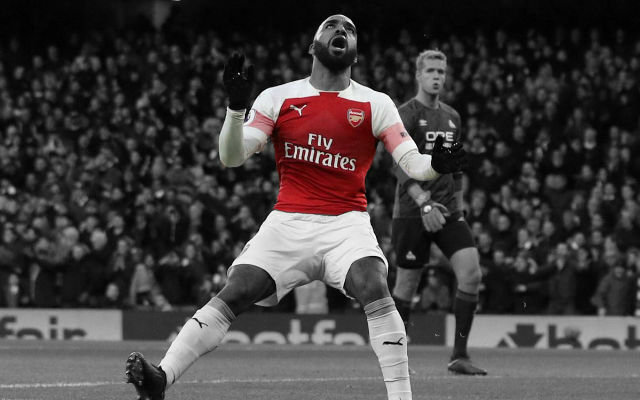 Arsene Wenger made a number of changes to the starting lineup from the weekend but it didn’t seem to affect the Gunners early on as they made a fine start to the match. Alex Iwobi, Aaron Ramsey and Granit Xhaka linked up well but couldn’t turn any of the openings into chances. It looked just a matter of time until Arsenal opened the scoring but, unfortunately, their defensive weaknesses got in the way. 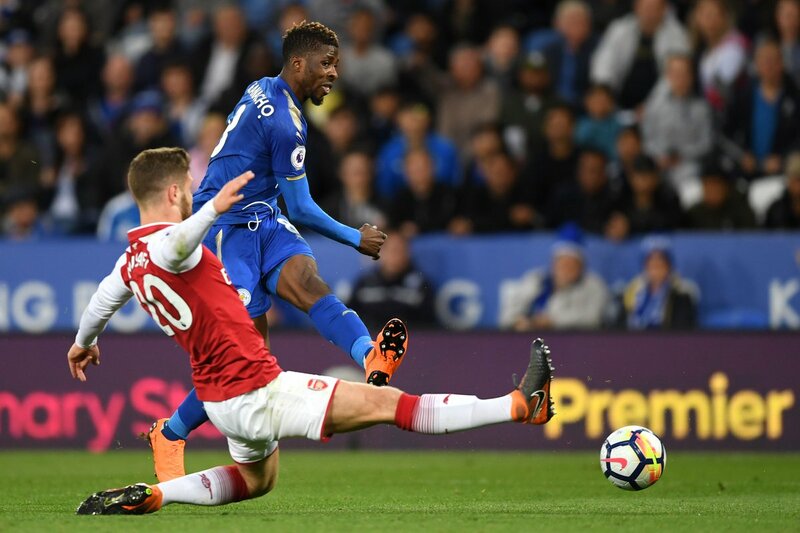 The visitors failed to clear a simple corner several times before Kelechi Iheanacho had the ball headed down to him and the former Manchester City man opened the scoring. Just moments later and the game went from bad to worse. A simple ball over the top caught the Arsenal centre-backs out and Konstantinos Mavropanos was the wrong side of his man. The Greek defender brought him down and was shown a straight red card. It looked harsh but the Gunners were a man down. The game opened up in the aftermath of the red card with chances for both sides. Petr Cech made some fine stops and Henrikh Mkhitaryan forced a solid save at the other end. Arsenal started the second half the better side and soon got their reward. 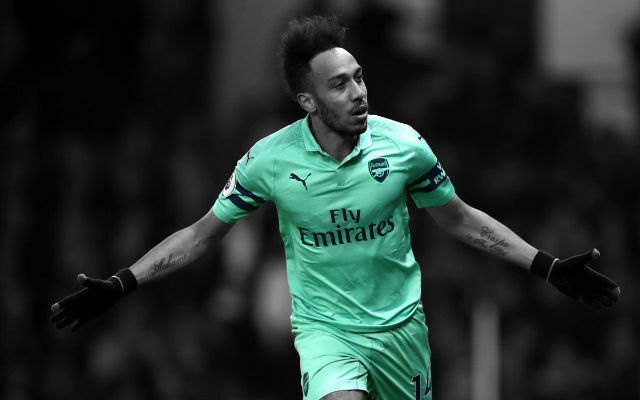 The impressive Ainsley Maitland-Niles broke down the right and got clear of two defenders before cutting the ball back for Pierre-Emerick Aubameyang. 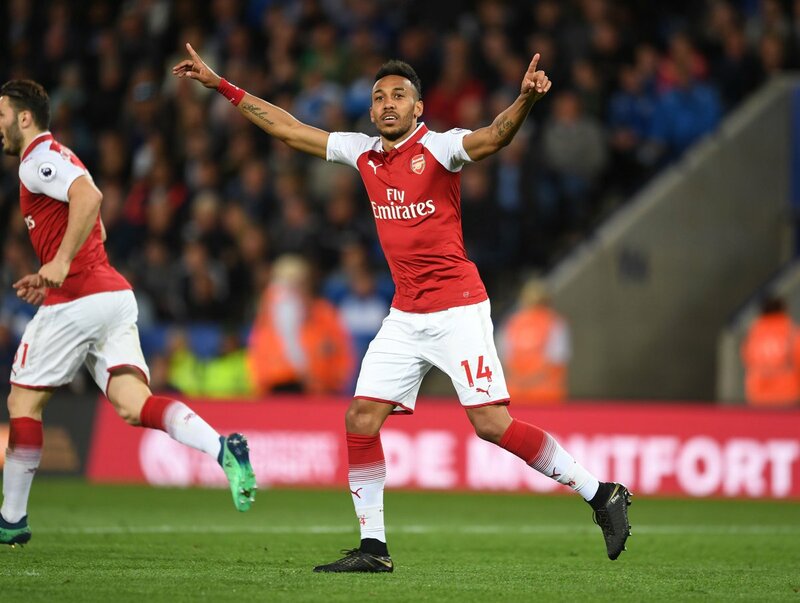 The Gabon international’s first shot was saved by Jakupovic but the Leicester keeper could do nothing to prevent the second as Aubameyang made it 1-1. 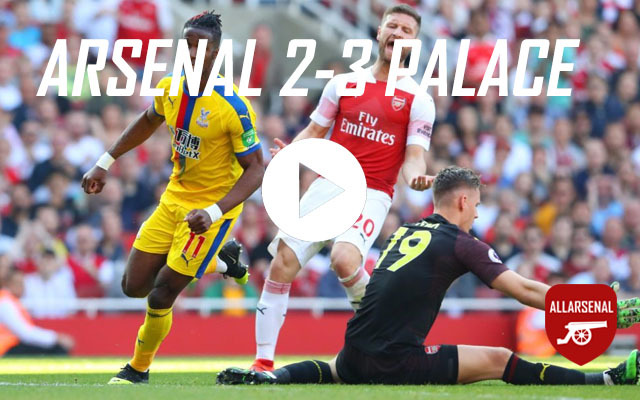 Arsenal looked to secure the crucial second goal but, again, defensive frailty was the Gunners undoing. A clumsy tackle from Henrikh Mkhitaryan at the back and the referee didn’t hesitate to point to the spot. Jamie Vardy stepped up to score. 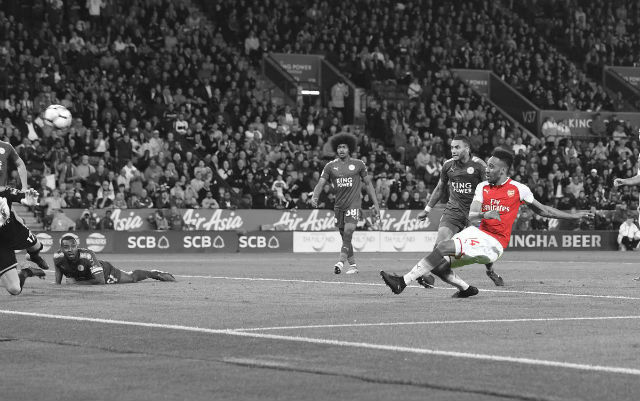 Arsenal chased the second equaliser in the latter stages of the game which opened up space in behind. 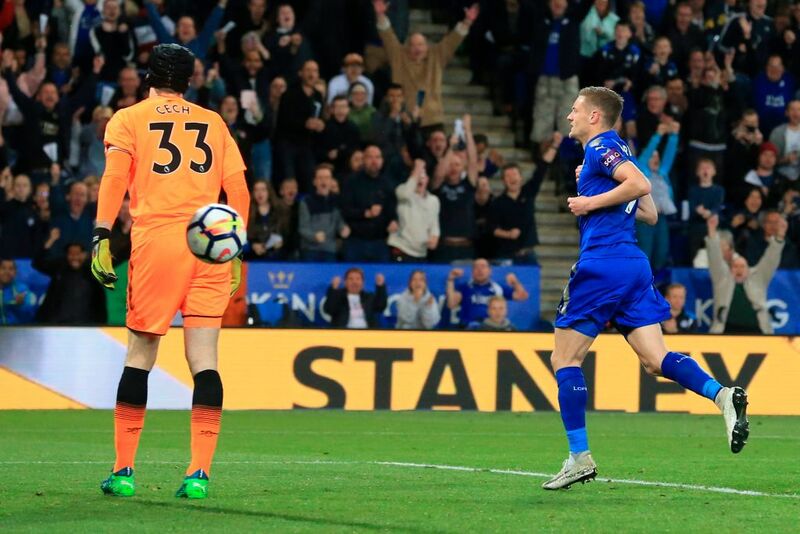 Leicester took full advantage as Riyad Mahrez burst through and rounded Cech before scoring late on. Petr Cech played well. The Czech stopper made a number of important saves in the first-half which kept Arsenal in the match. Ainsley Maitland-Niles played well. The youngster was impressive going forward and created that crucial equalising goal almost singlehandedly. He’s played better. Rob Holding looked a little flat-footed throughout and Arsenal paid the price. Mavropanos can feel a little hard done by for his red card. It was a harsh decision from the referee but Arsenal were made to pay for his error. Sead Kolasinac was impressive at times this evening. He looked good moving forward but left the back four a little exposed at times. Granit Xhaka had a decent game. The Swiss midfielder showed a fine range of passing and covered the spaces left by Arsenal’s ten men. He was poor. 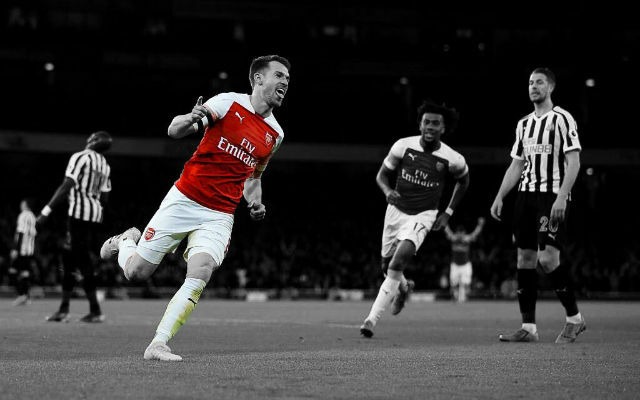 Aaron Ramsey just couldn’t get going with a sloppy touch and mistimed runs. He still looks some way off his best. Henrikh Mkhitaryan seems to need a long run in the team to get back to top form but he just isn’t there yet. Looked bright enough in the opening exchanges and was unfortunate to be the one hauled off. 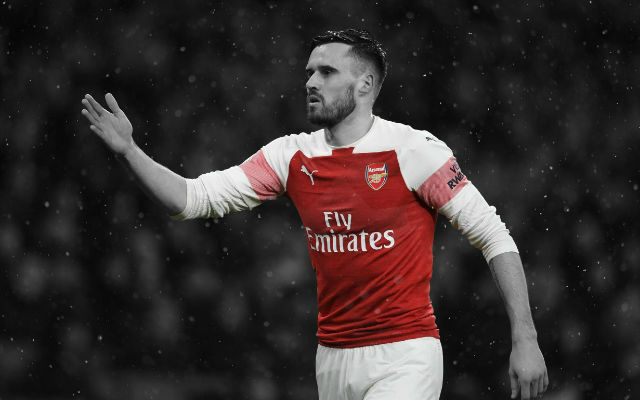 Shkodran Mustafi was caught out a few too many times after coming on as a sub. 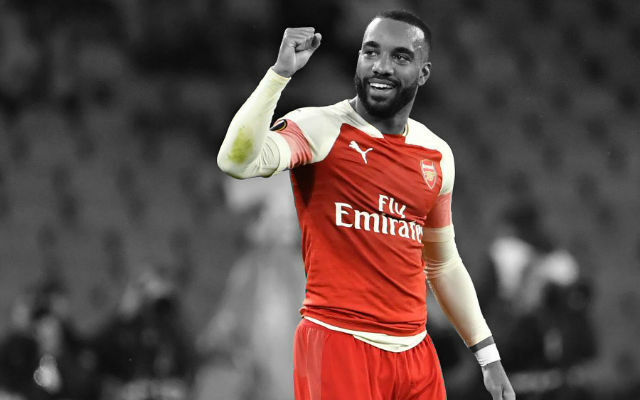 Arsenal’s best player. Pierre-Emerick Aubameyang was lively up front and linked up well with his teammates.